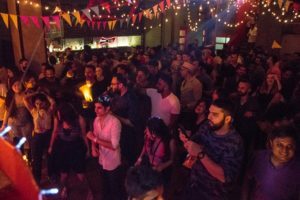 India is finally getting it’s dancing shoes on and transforming the party scene into a much sought after experience. 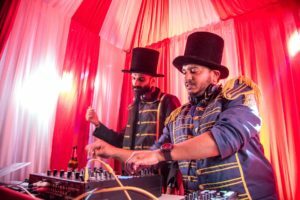 An upcoming force to get peoples feet moving are the Mumbai based dynamic duo that is Blurry Slur (Lynston D’souza) and Orbs & Zen (Nicky Ramnani), from playing alongside many Indian and International heavyweights over the years. 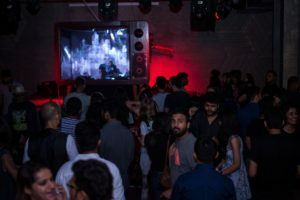 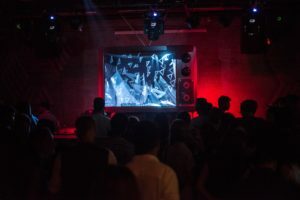 Joining hands with their crew Dan (Dhananjay Naidu) on visuals and Lauren Pereira, they created Framed, an audio-visual concept night; stepping outside of the box and sharing a fresh vibe for Mumbaikers to groove to. 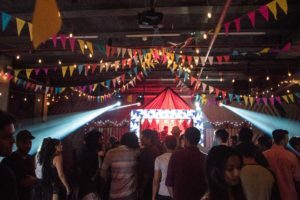 What distinguishes them from any other party on the block is the use of stunning visuals and tight beats, amalgamating to create a one of a kind experience. 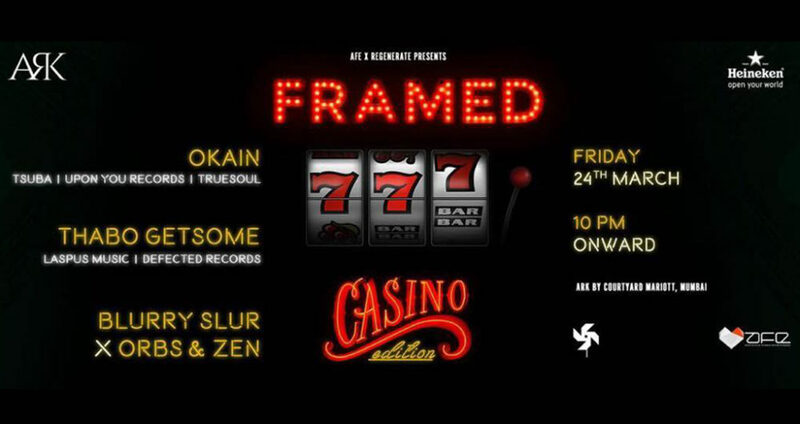 The third episode of “FRAMED – Casino edition” will be the biggest of them all! 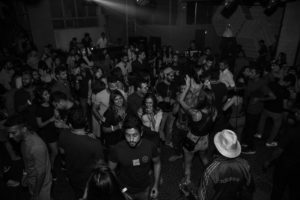 Here’s what Blurry Slur has to say about it! 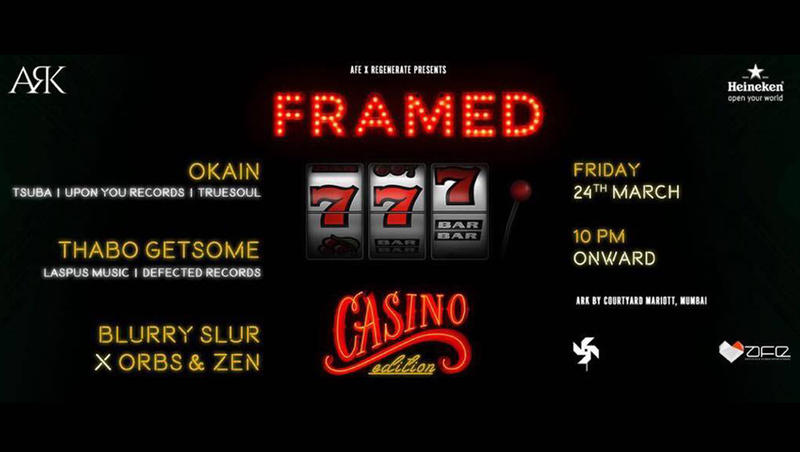 Check out this dynamic duo on Beatport and give your ears a little treat!